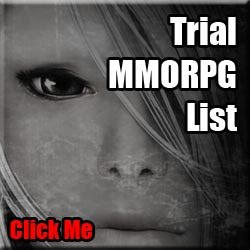 Welcome to my Free MMORPG and MMO list blog. I have spent a long time collecting the data for this list and I hope you find it helpful. This is Version 2 of my list, I hope you like the improvements. The Original can be found HERE. How to view list: On the Right hand side of the site there is a alphabetical menu, this can be used to view all the games listed. You will also notice small text menus on the top of the blog under the logo. Just click the letter of the Alphabet you want to search games in and you on your way to finding some great games. I hope you enjoy! Support Bloggers!!! In the "Featured Free MMORPG Spotlight" section I will feature games that stand out. This list will change from time to time to feature new games. Description: We invite you to the world of Gunbound, which takes place in Planet "Lond" and its 8 moons. Gunbound means "The infinite war between each unique mobile and its riders" In Lond 16 unique mobiles are available. Each of these mobile is processed in different environment and therefore, it has its own unique character no other mobile possesses. With our experience and history of making turn-based shooting game, players will find themselves in middle of intense battle between mobiles.